Rock climbing in the south of France. A 6 day course, €2000. This fee is for one person alone or shared between two. Here there are lots of wonderful cliffs to climb on. The first three days of the course will be situated at the cliff Chateauvert, which I find is a great place to introduce people to climbing. Many climbs, from easy to hard, there is something for everybody. All in a beautiful quiet valley only visited by climbers and the occasional cyclist. The last three days, the aim is to progress onto the Verdon Gorge. This internationally famous climbing venue with lots of outstanding master pieces, at the same time attainable to the near novice climber also. 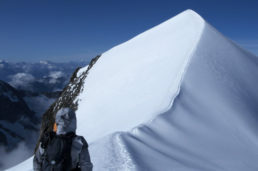 Many of the climbs traverse vegetated platforms in this vertical world. These platforms are known as “hanging gardens” in all the years I have been climbing in the Verdon I have always been half expecting to encounter a dinosaur from Conan Doyles Lost world on one of the hanging gardens. The Verdon is truly a magical experience! A 5 day course, €1600. This fee can be for one person alone or can be shared between four. 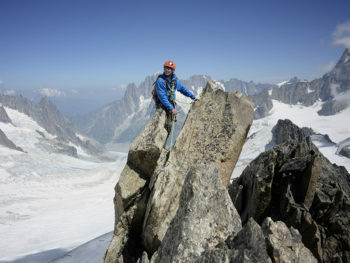 Orpierre is a rock climbing “Gem”. A beautiful quiet village surrounded by cliffs. Situated in the Southern Alps. One of the most northerly rock climbing venues of the South of France. Climbing at Orpierre is generally very relaxed. There are 8 limestone cliffs, with different orientations. So one can either climb in the sun or in the shade depending on the season. 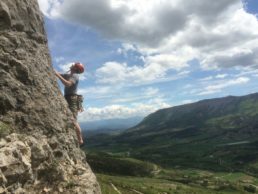 There are over 450 climbing routes at Orpierre. Varying from 15m to 180m in height. There are all grades of climbs and many of the French grade 5 & 6. All very well equipped with fixed protection financed by the Orpierre town hall. 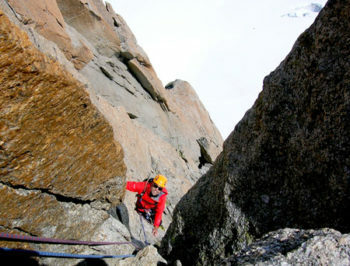 There are single pitch climbs which are prefect for working on one’s technique and multi-pitch which are fun adventures. 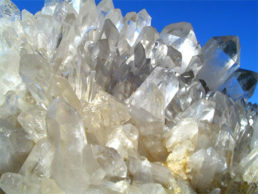 All on very good quality rock! Orpierre is also ideal for a long weekend. Level: This course is open to the total beginner. If you have some climbing experience all the better. 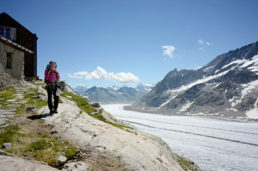 Guiding Fee: 6 days, Euros 2000. Guide to client ratio max 1/2 . This fee is for one person alone or shared between two. 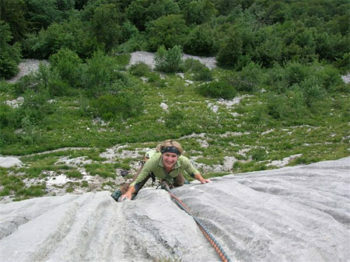 Orpierre: Guiding Fee: 5 days, Euros 1600. Guide to client ratio max 1/4 . This fee is for one person alone or shared between four. In all courses, the stated guided fee covers the guiding services of the IFMGA certified mountain guide only.